Here’s your chance: much loved local luxury chocolate shop Sandrine’s owners are looking for someone to take over their business. 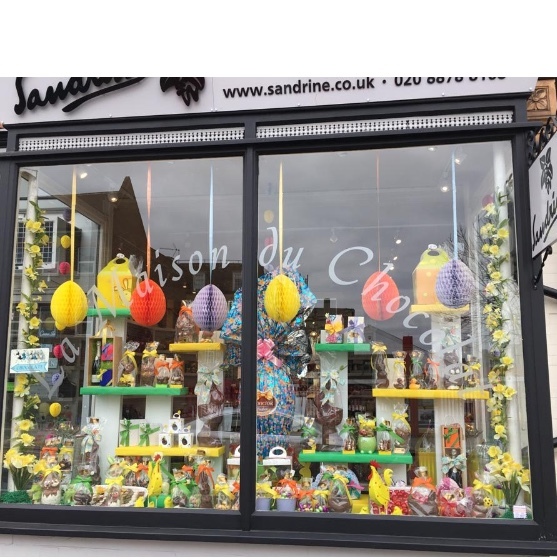 For 32 years Sandrine at 239 Upper Richmond Road West has been selling luxury Belgian Chocolate to the community of East Sheen and further afield. Current owners Anna and Sergio are now ready to retire but would love someone to keep Sandrine running. Anna said: “It would be a shame for East Sheen to lose another independent local shop”. If you fancy yourself to be the next owner, please contact them at 020 8878 8168 or 07950 265221 or by e-mail: info@sandrine.co.uk.